Static Control: Nex Flow™ provides high quality and superior Static Control products. How to control static electricity and eliminate static charge: Static can be addressed using both passive and active systems. The use of active static bars is the best method on how to control static electricity buildup in production and eliminate static charge. How to remove static electricity: How to remove Static Electricity - The static bar or point is placed near the charge and the ions generated by the unit cancel out the opposite charge on the surface o the part. The Static Bars reliably removes electrostatic charges and its performance, when compared to the standard version, is three times the power. This tremendously improves the static removal and designed to address extremely high charges, faster speeds and greater distances. The bar has all of the typical features that characterize HAUG ionizing bars: the reliable and removable plug-and-socket connection System X-2000, the shielded high-voltage cable, the special stainless-steel electrodes and the convenience of being safe to touch. The electrical capacity of the VS ionizing bar is three times as great as the standard version, and therefore, it is necessary to base any power pack load calculations on a bar length three times as long. Plastic processing industry : Film processing, packaging machines, film extruders, etc. Textile industry : Weaving and spinning mills, textile finishing plants, etc. Graphic industry : Screen and pad printing machines, photographic and film processing machines, folding machines, etc. Paint Shops : Car painting, painting of plastic components, etc. 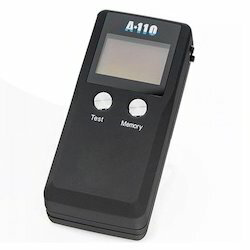 The Static Meter electro field meter is a small hand-held field strength meter with digital display for measuring electrostatic charges in Volt. It perfectly combines easy operation with accurate measuring technique. The Static Meter measures charges according to the field influence principle C: The influenced charges, caused by the electrical field, generate an alternating current proportional to the electrical field strength. The selective amplifier converts this value into the corresponding field strength or electrical potential - without withdrawing energy from the electric field over the averaged time. Hold function: The device is equipped with a Hold function to keep the measured value stored on the display. Display in Volt :The integrated micro-computer automatically converts the measured field strength into the equivalent charge in Volt. 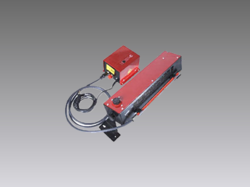 Product Overview : The Nex Flow(TM) Ion Blaster Beam(TM) neutralizes static electricity and can remove static free dust up to 15 feet (4.6 m) away with no moving parts. It's compact design allows it to be used in hard to reach areas or confined spaces. The air volume and velocity are infinitely adjustable over a wide range using a pressure regulator to address any application from light to heavy duty. The use of an "air amplifier" (Model AM40) maximizes ionized airflow with large volume entrained while minimizing the use of compressed air. (See Air Amplifiers elsewhere in the catalog.). In most applications only 10 psig (0.7 bar) is required to operate effectively. The Ionizing Point is a powerful ionizer which remains effective because the air exit "plastic PET head" of the unit prevents weakening if ions which metal attachments may do. This can make the Ion Blaster Beam(TM) far more effective than systems using metal. The Point Ionizer was developed for the neutralization of the smallest of parts. Emitting positive and negative ions, this unit reliably neutralizes spot charges. This ionizer is perfectly suited for mounting in places where there is little room. The plug of the electrode must simply be connected to the high voltage transformer (power pack) and the unit can be quickly set into operation without tools. The One-Point-Ionizer OPI has proven its value repeatedly in daily use, e.g. in the medical industry. 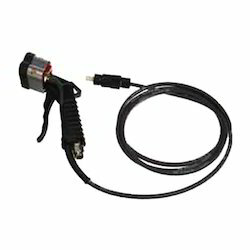 The OPI can also be equipped with compressed air (Mini-Jet Ionizer). 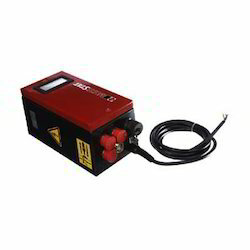 Air Ionizing Gun is light weight and easy to handle with its service-friendly handling, is a peerless innovation in the field of elimination of dust and charges. Heavy-duty users and others will appreciate its lightweight at only 480 grams (before air hose and HV cable). The head of the device is enclosed by a sheet material shield, which serves both as mechanical protection and counter-electrode. Due to the special shape of this shield, bypass channels are created, which assist an efficient six-channel blowing nozzle by stabilizing the airflow. The airflow can be adjusted exactly in accordance to the application – particularly useful for the treatment of small pieces. A power pack provides the required voltage. 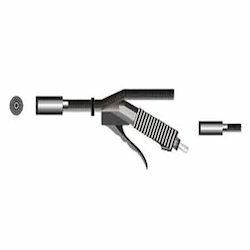 Ionizing Nozzles is a highly effective production aid for the discharging and cleaning of surfaces – in particular of non-conductive materials. 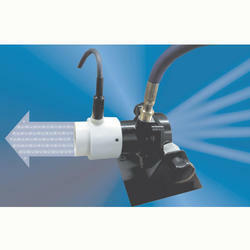 Beside the hand-held unit, other versions are available for installation into plants and machinery (without Air Gun). These units are simply connected to a HAUG high-voltage power pack. Power packs are available for a variety of mains voltages and can be specified to have two or four high-voltage connections. This “mini” version is particularly suited for the discharge of very small areas and components in confined workspaces. It is light, flexible and easy to handle, and its robust design makes this unit the ionizer of choice for many discharge processes. For many years, HAUG has been a competent manufacturer of Static Eliminator approved for equipment in areas with potentially explosive atmospheres. These are intended to eliminate unwanted electrostatic charges in areas where hazardous gases may form, such as paint plants or printing machines. Graphical Industry: Screen, tampon and offset printing machines etc. Paint Shops: automotive paint applications, painting of plastic parts, etc. The design of the ionizing bars EI Ex T complies with the International ATEX directivities. In combination with the power pack EN 92 Ex or Multistat Ex, it is suitable for use in manufacturing locations with potentially explosive atmospheres resulting from gases of explosion group IIA, temperature classes T4 to T6. Standard Air Blade Ionizer a quality static bar made by Haug, a world leading static control manufacturer. Charges can be eliminated quickly, even over large distances and surface area. The Standard Air-Blade™ air knife is an efficient and sturdy unit for many blow-off applications. For even greater efficiency and reduced noise levels you can utilize the Silent X-stream TM Air Blade TM. Both units utilize the quality Haug static bars – the RN bar for most applications or the extra strong VS bars (Triple X versions) for very high static charges and extremely high speeds The Standard Air-Blade™ Ionizer uses a small amount of compressed air for a powerful, and adjustable force with "laminar" flow to eliminate charges in applications where static bars cannot reach or where high speeds are a factor. Normally the Standard Model RN Haug brand static bar can address most applications. For extremely high speeds and high charges the extra powerful VS model is used. For washdown applications (such as pharmaceutical areas), even a washable model is available at extra cost. 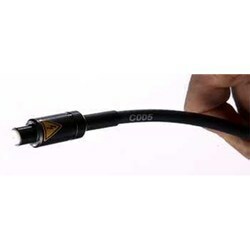 All Haug static bars come with a patented safety connector and fully shielded cable. The power supplies are "repairable" and are so well made, that we offer a two year warranty on them (one year on the bars). Dust Removal For Car Bodies is an ideal application for the Ion Air Gun if manual cleaning is used and for the Air Blade Ionizers prior to the vehicle entering a paint booth.